← Join us at release events in Delhi, Mumbai, & Bangalore • 2nd Delhi event added! 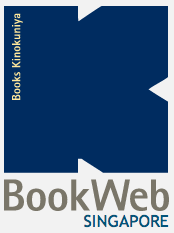 If you like what you’ve read, you can find the book in Indian bookstores or on FlipKart. Or you can order online for US and worldwide delivery. Shashi — I guess “cultural study” is one way to put it. Here’s another way to put it: it helps expats make sense of Delhi, and it helps Delhiites make sense of expats. The other audience to this book will be Indians who have been living outside of India for quite some time. These are the people who have somewhat lost touch with the change going on in India. Your blog has given us glimpses of the new India where the old traditions and modern values are thriving. I’m a indian living in north america(not permanently)..been away for 6 years now but i’ve been back 3 times(short visits only)..i always come away amazed at the new changes in the city..for.e.g. the past 3-4 years have seen new north American style malls crop up everywhere around the city and international retail brands as well which is always nice(for me) cuz let’s be honest, most clothes in India are not very stylish(except for the export reject clothes found in Sarojni Market or some random hill station like Kalimpong). as much as i love seeing the new changes happening, i’m at the same time saddened by the in-your-face materialistic & pretentious attitude of many delhiites. i have old friends who still live in Delhi who act all uppity and “international”(as they say in India) now that they shop only at air-conditioned malls and have their own “fashion blogs”. everyone’s chasing an aspirational lifestyle which unfortunately rejects anything “too indian” and is all about replicating western lifestyle. it’s sad and quite fake to be honest. He is bull shitting . I have landed in Delhi airport a 1000 times but never got to come over Karol Bagh as it is near Rashtrapati Bhawanand is a no fly zone. I have never seen Hanuman statue from above. Sandeep: kindly read the COMPLETE sentence before commenting. Thanks! I am also seeing Delhi regularly for the last three decades, well it has developed basically as one of the major cumulating point for indians from all arround. Quantum and variabilty has offcourse brought forth changes. if you see proper, the basic of delhi still remains the same. Changes and moderniasation has come forth by leaps and bounds, but even gold casts dark shadow. Movement for the normal folk with time has become very time consuming and quite painful at times. 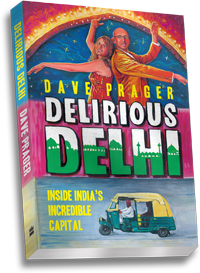 Hi Dave…just wanted to say that i enjoyed your book…I’m also from NYC and somehow I’ve been living in India for 10 years….this is my second time in Delhi (this time in Noida though). I work in the BPO industry, which probably deserves a book all of its own. Keep up the good work, and i hope you keep writing! This info is invaluable. Wher can I find out more? I want to get reviewed my Book in Delhi. Can you help me?